Geotab - A Fleet Management and Vehicle Tracking Platform. With the use of a small electronic device, businesses can better manage their drivers and vehicles by extracting accurate and real-time trips data. The Geotab device is very simple to use and does not require a professional to install. You simply plug the Geotab device directly into the OBDII port of your vehicle, no special tools or equipment necessary. For those vehicles or trucks without an OBDII port - no problem - an adapter can be used instead. Not only does Geotab collect real time data from your vehicle, but it also collects; GPS, Engine Health, Accident Data and G-Force data as well. 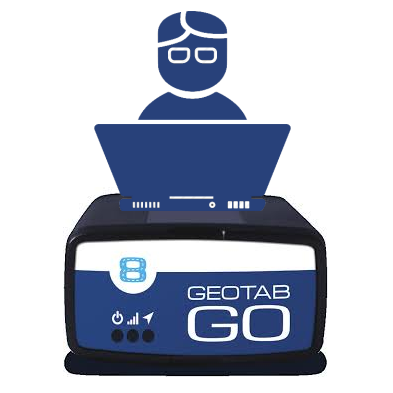 As your Geotab software integration partner, The Computer Geek will empower your business by providing full featured solutions and accurate and measurable data for your managers. Monitor driver safety and performance, as well as maintaining fleet budget concerns at a time of rising fuel costs. Our integration and design experts are committed to tailoring solutions specific to your business needs. Our programmers will design options that are easy to use with a minimal learning curve, relevant, and allows for instant decision making. As Geotab Integration Experts, The Computer Geek can help you to successfully integrate your current systems with the Geotab SDK. In order to successfully integrate your current systems with the Geotab SDK, you need a partner with a proven track record of engineering excellence. Contact The Computer Geeks to talk about your project. After gathering your requirements, we will prepare an estimate free of charge. Whatever your Geotab SDK needs are, they will be met with efficient, quality, and friendly service! geotab software integration and development | Computer Geek 5 out of 5 based on 103 user ratings. Geotab developers and integration specialists. With the Computer Geek as your software integration partner of choice.